I was standing right there in my usual spot. 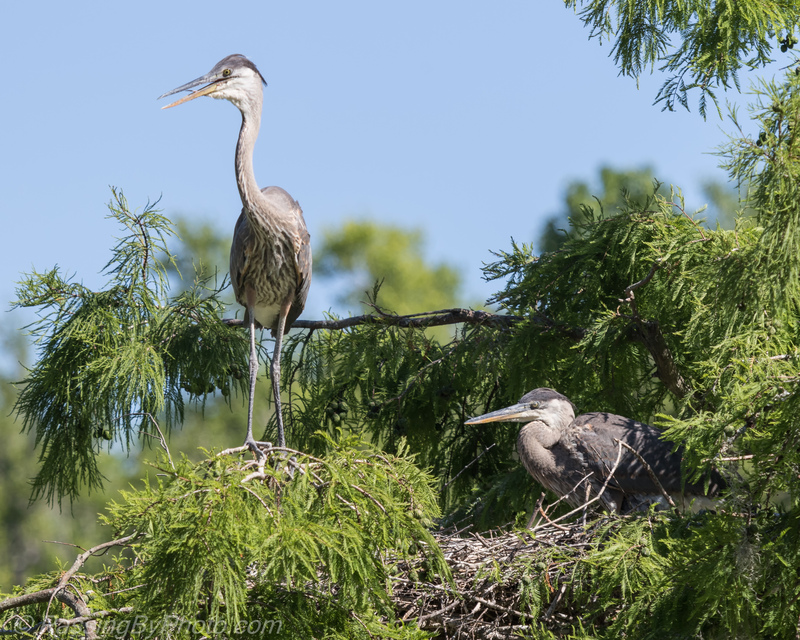 Both Great Blue Heron chicks were in the nest. I took a few shots of the chick pair and even commented that maybe today was the day for flight. I looked away to see what a nearby Alligator was doing and it was over. Probably not his first flight, but still. The chick landed in the trees on the long side of the pond and stood there. And stood there. After about 15 minutes he flew. I missed the take off and couldn’t get a shot in flight. He moved around a couple more times and I decided not to wait any longer and moved along. From a spot not far from where he first landed I did see him return to the nest. His sibling, who still has shown no interest in flying, gave an affectionate wing greeting. 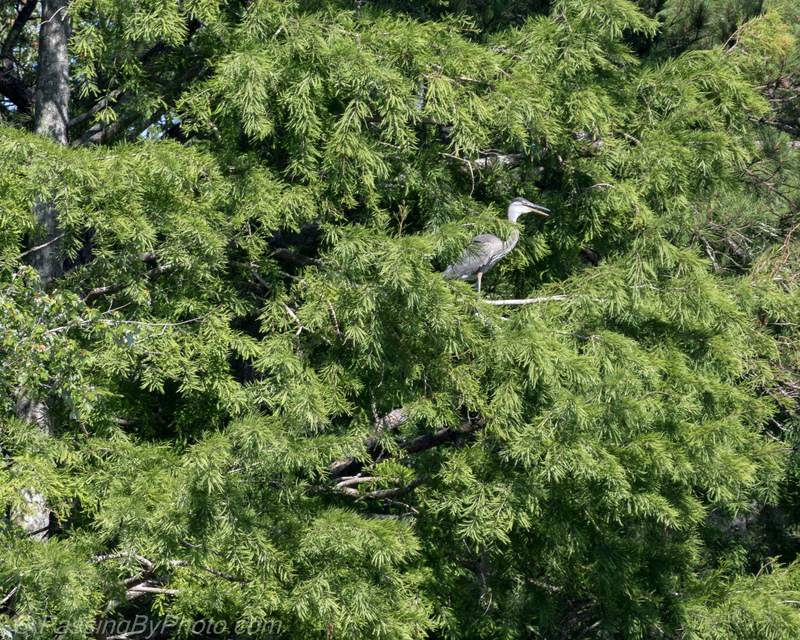 Too far for crisp shots but I was still happy to see the Great Blue Heron’s next life stage. And I know know that they do return to their nest after fledging, at least for one day. He seemed quite happy with his new found skill, flapping and hopping from one edge of the tree to the other. He kept this up for 10 or 15 minutes, then settled down next to his sibling, resting for his next excursion and probably hoping for a snack to appear. 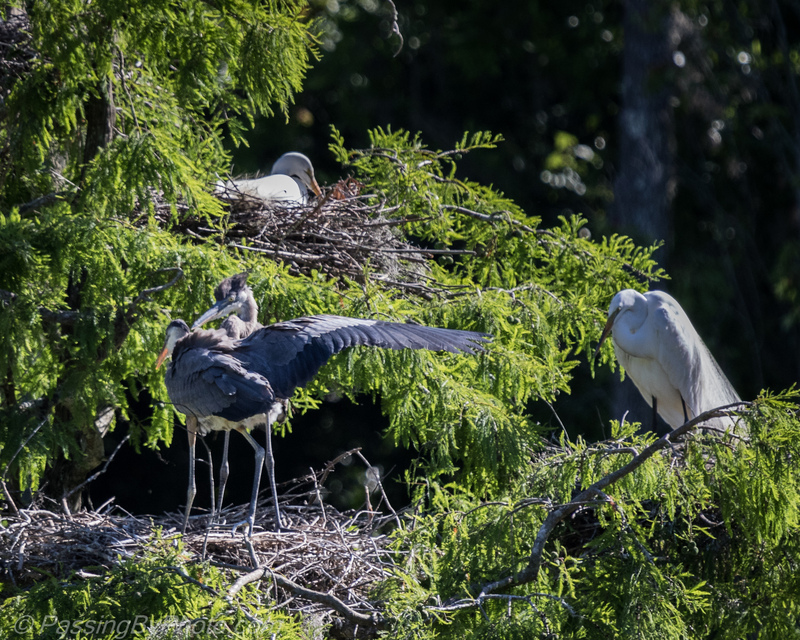 In the three hours we were in the area no GBH adult appeared at this nest. Previous PostBirds on the USS Yorktown (CV-10)Next PostWill It Fit? What a thrill and a privilege to witness the fledgling fly. 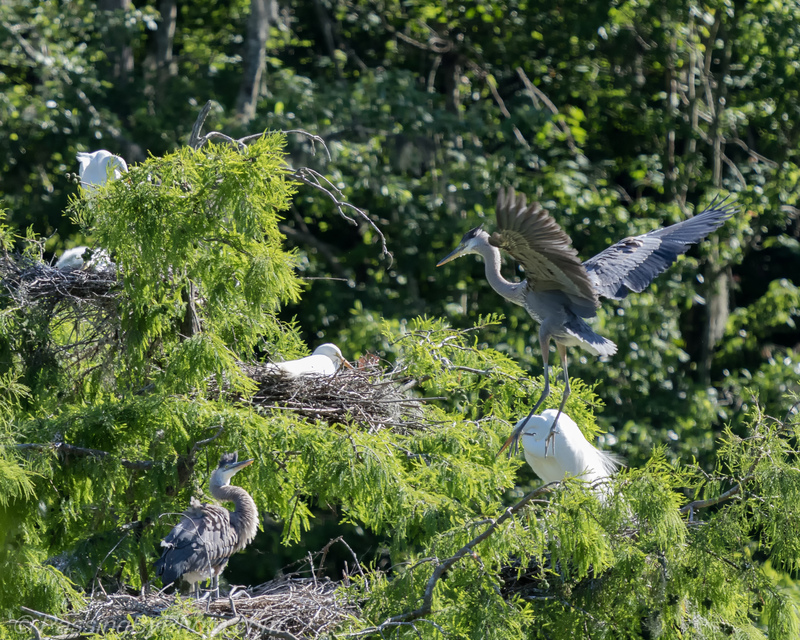 I have never seen a great blue heron nesting. I will keep looking. Thanks for posting these great photos. It sure is, Maggie. The GBH are fun to watch, so gangly and prehistoric looking. Glad you enjoyed the photos and thanks for you comments. How cool that they (or at least one so far) is finally flying. 😀 It must be so incredible for you guys to see since you’ve been watching them for this whole time. Wonderful to see the whole cycle. 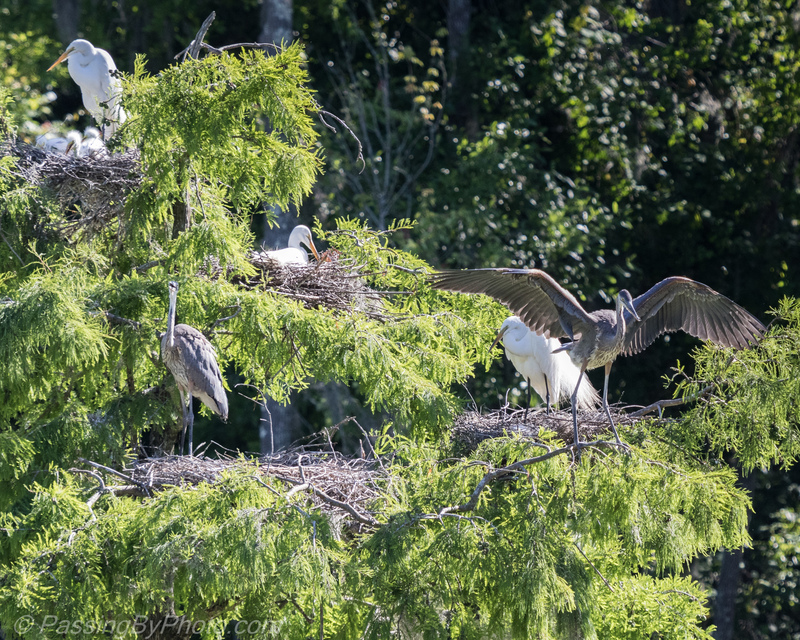 I’m not sure how much longer they keep coming back to the nest but I sure hope to see them a few more times.